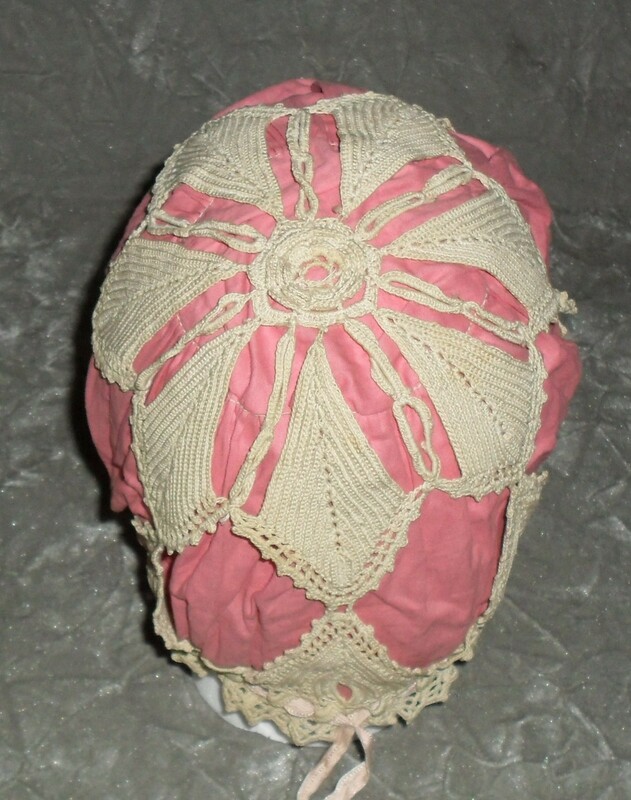 THIS IS A RARE ANTIQUE HANDMADE VICTORIAN SLEEP CAP OR BONNET. IT IS ONE OF A KIND, AN EXCELLENT FIND. 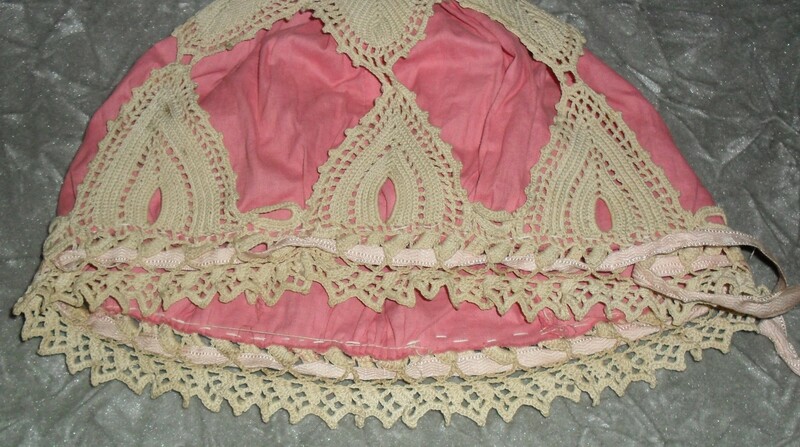 OVERLAY IS A CROCHETED LACE. IT IS IN EXCELLENT WELL-PRESERVED CONDITION. We pack our items very well, but we CANNOT BE RESPONSIBLE FOR POST OFFICE OR UPS MISHANDLING. That is beyond our control. If you have any concerns then PLEASE REQUEST INSURANCE as it is not included in order to keep shipping cost down. 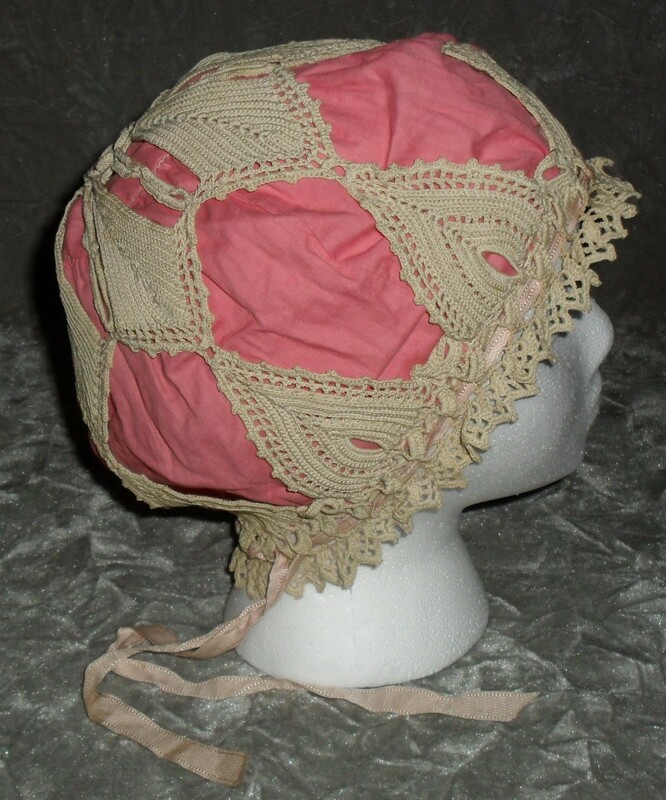 I believe this is from the 1920's based on the styling. 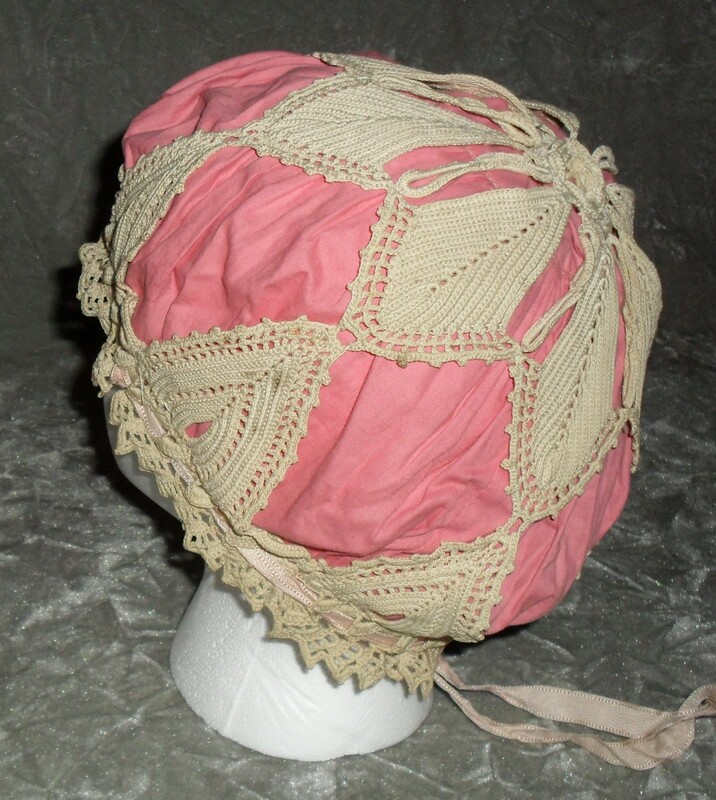 However, nightcaps like this were worn pretty much throughout history until the invention of electric heaters.